The ones we would be more familiar with are games, of course. Go to Apple’s iTunes App Store or Google Play Apps download site and you will go crazy at what is available. As a confessed avoider of games, I must admit, I don’t really care for this sort of stuff. Ask my friends, who tried long and hard to get me to join Candy Crush, and you will realise this. But, then not only games but social media platforms, news, maps and so on are other apps that one can use on his/her smart phone or tablet. According to a recent article in QZ, the top three apps (in the USA) are: Facebook, YouTube and Facebook Messenger. These are followed by Google Search, Google Play and Google Maps. Obviously, the top social media platform is the top app, as this platform has over 1.23 billion users. And, Google is pretty much up there with YouTube (a Google subsidiary), plus its searches, maps and so on. Now, I want showcase an interesting app, with practical uses. Mind you the app was developed by my colleagues at Pulse Solutions for use in New York City. It is called Night Lifeline. The Night Lifeline is fun and easy to use smartphone application enabling customers to personalize their ideal evenings. The app strives to make the experience as convenient as possible for both its users and venues affiliated in the app. The app is multi-platform, being available for use on Mac iOS and Android phones and tablets. 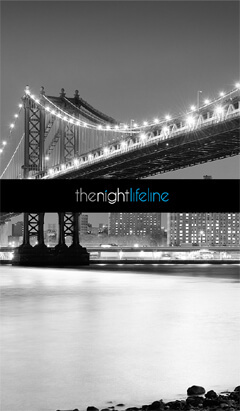 Night Lifeline as the name implies tries to make picking an evening venue quick, easy and fun. Interestingly, the app goes beyond the run-of-the-mill restaurant finder to give specific details on the venus features, pricing, food choices, entertainment options and more. Pulse engineers used native Xcode and Java programming languages to build the app and deploy it on iTunes and Google Play. The UI design is built for extreme usability and quick responses, this is one of the most attractive apps built by the Pulse app development team and it shows. With the Pulse team behind us, we can offer you a mobile app to assist you in your business. Contact JG Marketing to discuss your requirements.